You are afraid. You know your business is at risk from cyber-attack. 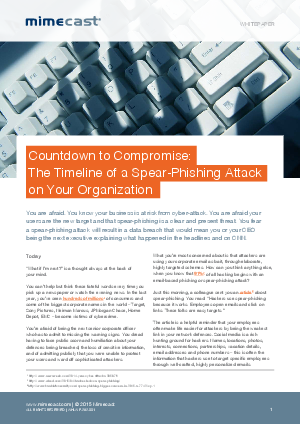 You are afraid your users are the new target and that spear-phishing is a clear and present threat. You fear a spear-phishing attack will result in a data breach that would mean you or your CEO being the next executive explaining what happened in the headlines and on CNN.